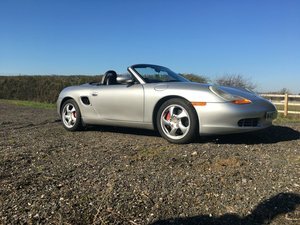 47,000 Miles. 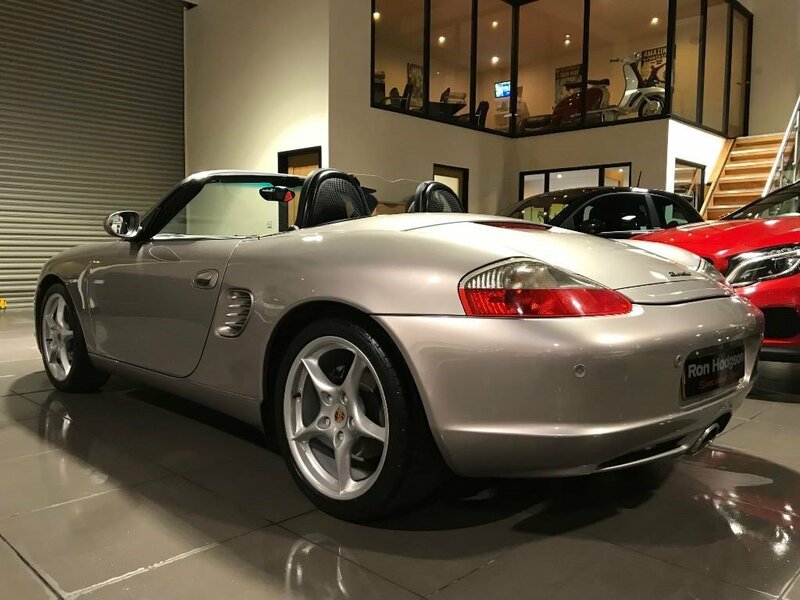 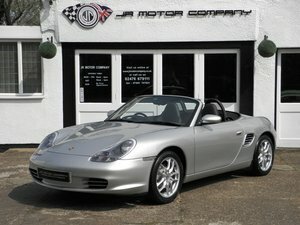 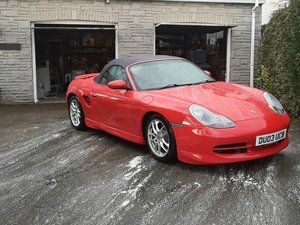 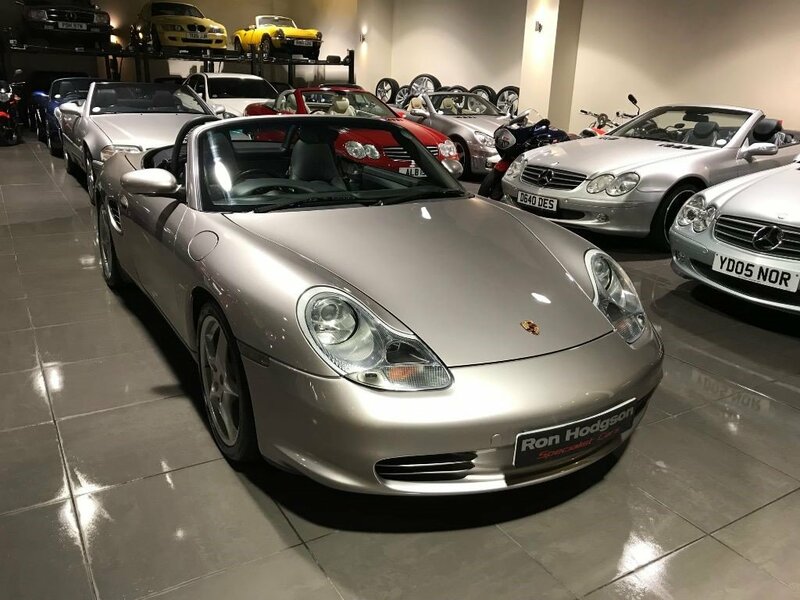 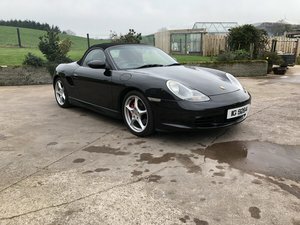 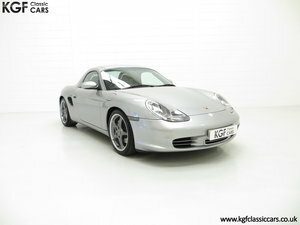 We Are Very Pleased to Offer For Sale This Exceptionally Clean Porsche Boxster. 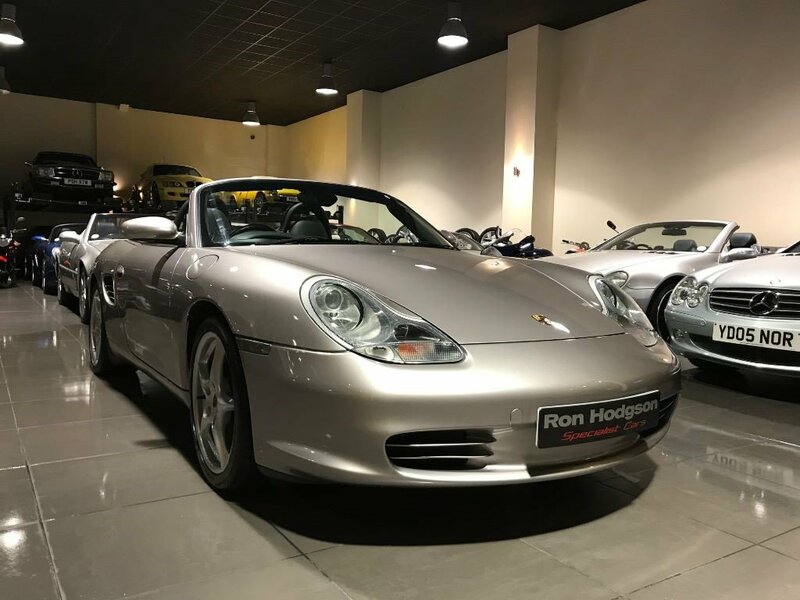 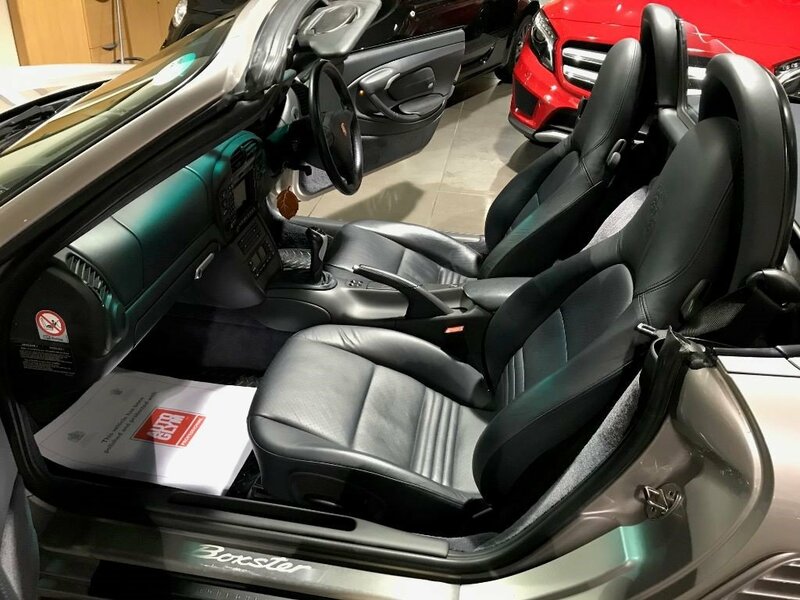 This Beautiful Example is Finished in The Very Rare Colour Meridian Silver with Metropole Blue Leather Upholstery and a Metropole Blue Hood. 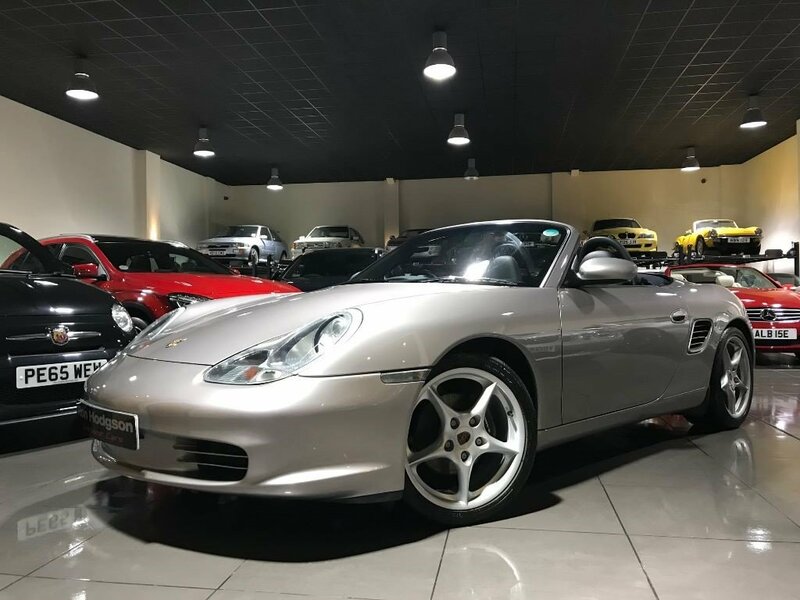 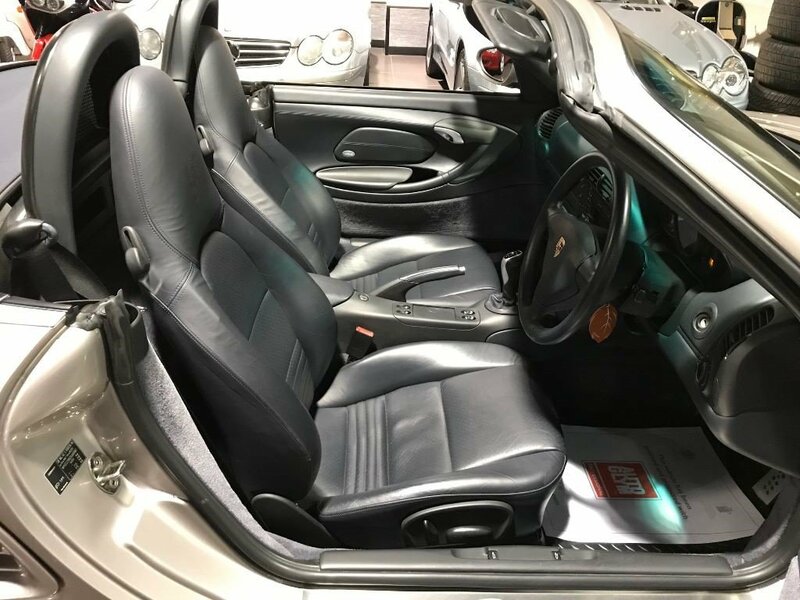 The Specification Consists of Porsche PCM Satellite Navigation System, On Board Computer, Radio CD System, CD Storage, Xenon Headlights, Park Sensors, Wind Deflector with Storage Box, Climate Control, Cruise Control, Porsche Crest Embossed Into Seat Head Rests, Porsche Short Shift Gear Linkage, Boxster Stainless Steel Door Entry Guards, and 18" Carrera Alloy Wheels with Gold Crested Centre Caps. 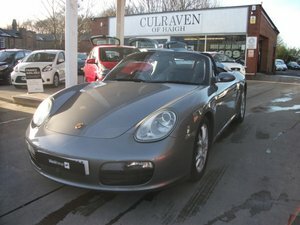 The Car is in Unbelievable Condition Inside and Out and is Complete with Full Service History and Spare Keys.